Mammals are animals that have warm-blood, fur or hair and usually have live babies. A few mammals lay eggs rather than giving birth to live babies, including the platypus and the spiny anteater. All mammals have some type of body hair or fur, though marine mammals, like dolphins and whales, are almost hairless. Over 5,500 species of mammals have been recorded to date, compared to more than 28,000 species of fish and over 1,000,000 species of insects. Many mammal babies are helpless when first born, but a few species, including zebras and moose, can walk from the day they are born. Marsupial babies, like kangaroos and opossum, are born as small as a pinkie nail and move to their mother's pouch to mature. All mammal babies drink milk from their mothers. Mammals maintain their body temperatures to just about the same temperature all the time, despite the temperature outside their bodies. Warm blood allows mammals to be very active and live in a wide variety of environments. Fur and fat help protect mammals in the cold, while sweating or panting releases extra heat for mammals in hot conditions. Probably the most characteristic element of the current extinction crisis is that most of our primate relatives are in serious danger. Almost 90% of the primate population lives in the tropical forest, which are disappearing fast due to animal agriculture, deforestation and development. About half of all the primate species on Earth are at the brink of extinction. 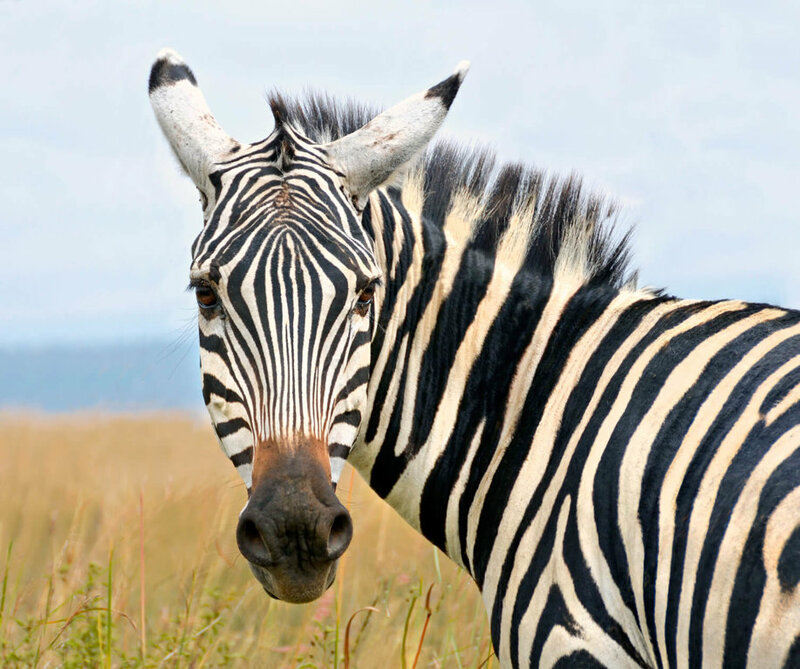 50 percent of all known mammals see rapidly decreasing populations, and almost 20 percent are close to extinction. Marine mammals – including dolphins, whales, and porpoises – are particularly close to becoming extinct. The blue whale, measuring up to 110 feet long and weighing up to 419,000 pounds, is the largest mammal living today. It is also the largest mammal to have ever lived....larger than even the biggest dinosaur. The largest land animal today is the African elephant, standing up to 13 feet tall and weighing over 15,000 pounds. The extinct Paraceratherium, a hornless rhinoceros which stood around 17 feet at the shoulder and weighed about 33,000 pounds, is thought to have been the largest land mammal to have ever roamed the earth. The tallest mammals are giraffes, towering up to 20 feet tall. The smallest mammals are tinier than many insects. The bumblebee bat is only about 1.14 inches long and weighs a mere 0.07oz or less, while the white-toothed pygmy shrew, the smallest land mammal, is only .09oz or less. The fastest land animal is the cheetah, reaching speeds of 70 mph. The fasted flying mammal is the big brown bat, flying at speeds of 15.5 mph. The fastest mammal in water is the orca, swimming up to 34 mph. Human beings can live longer than any other mammal, while whales can live up to 100 years. 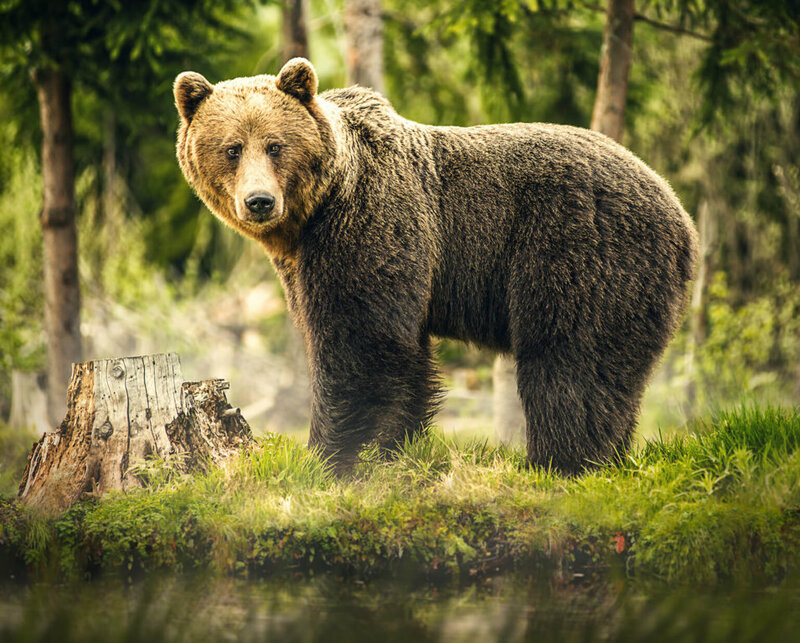 Bears use tools, play with objects and have been known to use weapons against other animals. Bears enjoy staring at scenic vistas such as sunsets, lakes and mountains. They grieve when a family member dies, moaning and crying for weeks. Desert rats do not sweat or pant. They bury seeds until they’ve dried, then use them as sponges to gather humidity from the air. Like computers, rats have short-term, random-access memories that store information used in ongoing processes. They are empathetic to each other, help other rats in distress and share food. They respond with their whiskers to vibrations. Rats take care of injured and sick rats and without companionship they become lonely and depressed. Rats laugh when they play and chatter or grind their teeth when happy. They groom themselves and their friends and family members for several hour each day. Rats can go longer than a camel without water. Their tails help them to balance, communicate and regulate their body temperature. Squirrels have been observed hiding their odors from snakes by chewing on the outer layer of snakeskin and smearing it all over their fur. They also pretend to bury food in one spot, then store the food elsewhere, to fake out potential thieves. 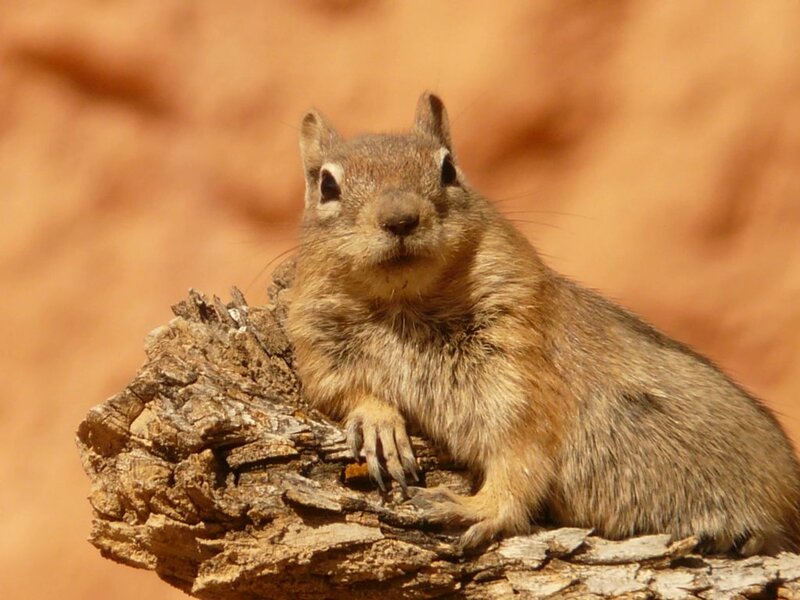 Mother squirrels are so protective of their babies that they kick the fathers out of the nests for the spring and summer, but may allow them back to bunk with the family during winter. Prairie dogs speak to one another in a language which includes nouns and verbs and has different dialects depending on where they’re from. Wolves cry out from distress when they miss an absent member of their pack. They communicate not only by sound, but also by body language. They use social cooperation and generalized rules to conduct and plan coordinated attacks. 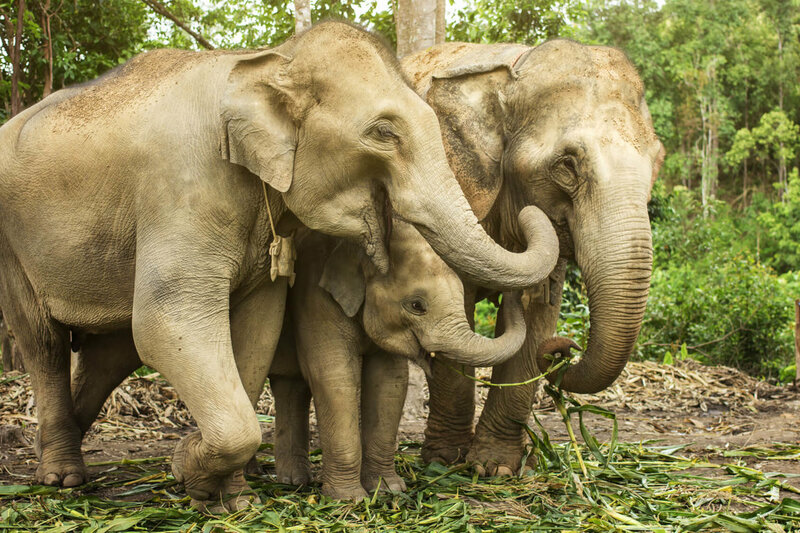 Much of elephants’ complex language is based on infrasound – below the level of human hearing – and enables separated family members to communicate with each other over vast distances. They can also imitate human speech, despite having a trunk instead of lips. When an elephant is stressed, other elephants offer physical and vocal comfort, including hugs, kisses and soothing sounds. They mourn the deaths of their loved ones and perform rituals, holding vigils over the body for days and covering the deceased with leaves and branches. They react the same way when mourning humans. Elephants have been known to die of broken hearts after the death of a family member, friend or mate. They have the ability to use different objects in creative ways without being taught. They have been known to clean their food and use tools in various ways in the wild. Elephants self-medicate, play with a sense of humor, perform artistic activities, use tools and display compassion and self-awareness. Apes and other primates use a special sign language to communicate with each other, and are also able to use standard sign language to communicate with humans. They have been taught to be fluent in English, some understanding over 2,000 words and able to sign over 1,000 words. They understand the meaning of the signs and use them in creative ways. They can comment on abstract ideas, express self-awareness, intelligence and emotions. Apes remember people, names, places, tasks and puzzles. They make and use tools, including spears for hunting, and have impressive problem-solving skills. They cooperate on projects like seeking food and making shelter, live in highly organized societies, can appreciate a beautiful sunset and mourn the death of loved ones. They have even been known to keep "pets". Orangutans recognize themselves in mirrors. They make and use a variety of tools for foraging, honey collection and protection against insects. They drape large leaves over themselves like a poncho and use sticks to “fish” for branches or fruit that are out of reach and to extract seeds from fruit. They use leaves as napkins and gloves and fashion seat cushions from natural materials. Males plan their travel route in advance and communicate it to other orangutans. Cultural traditions are learned and passed down. They are capable of whistling music, opening locks, communicating with humans through sign language, using fork and spoons, blowing out candles, washing clothes, rowing boats, cooking and using Ipads. Chimps have traditions that are often specific to only one group. They communicate with body language, exhibit self-awareness and express emotions, including laughing when they play and crying when they grieve. They outperform humans on numerous short-term memory tests. Orphans are adopted by their aunts, older siblings, or other members of their tribe who teach them how to find natural antibiotics, avoid poisonous plants and build tree nests. Marine mammals include cetaceans and pinnipeds. Dolphins, whales and porpoises are "cetaceans." Walruses, sea lions and seals are "pinnipeds". While they must breathe air like all mammals, marine mammals can stay underwater for up to two hours before surfacing for air. Dolphins and whales breath air through blowholes, while walruses, seals and sea lions breath through their nose and mouth. Seals have scored better than adult humans at logical reasoning tests. Ringed seals build snow caves above their breathing holes in the ice to protect their young from predators. Orcas brains are more emotionally developed than those of humans. The limbic system — the layers of interconnecting tissue that processes emotions — have grown elaborately compared to those in the human brain. They have a level of social culture that rivals humans. Dolphin brains are larger and, in some ways, more complex than human brains. Dolphins have been taught to speak human words. Their own language allows them to trace other dolphins up to six miles away. They even have names for one another. They have such significant brain power it stops them from sleeping. They use tools and pass their knowledge through a family line. They reason, problem-solve and comprehend ideas. They use nonlinear math formulas when catching prey. They blow bubbles that vary in exact amplitudes to detect fish, then subtract values found with their echolocation to confirm the target. They follow ships to collect fish churned up their wake, and ride bow-waves like human surfers. They play catch, tag and other games with each other, and also enjoy playing with other animals. Dolphins swim onto the nose of humpback whales, who then raise themselves out of the water so the dolphins slide down their heads - both animals enjoy the game. 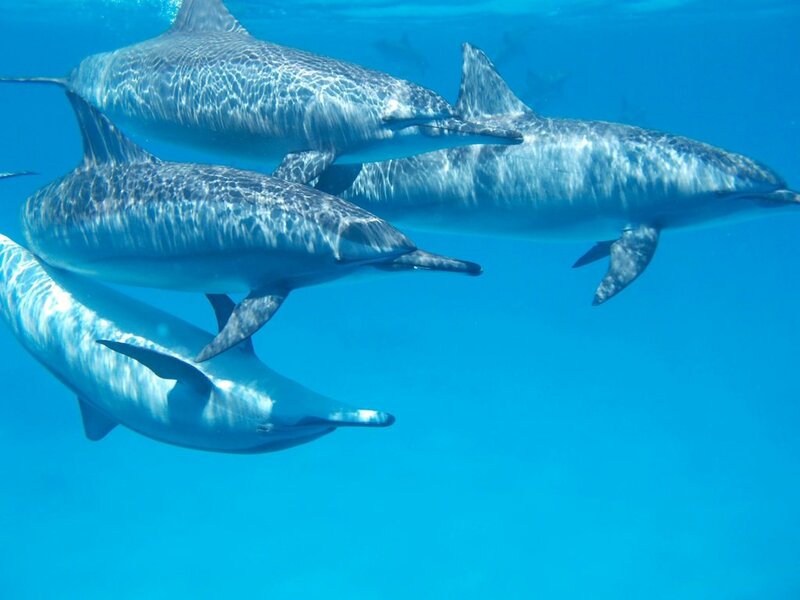 Dolphins form complex social groups. They plan ahead. They crave physical attention and stroke each other with their flippers. Dolphins and whales communicate with a variety of low sounds that humans cannot hear. They also use echolocation – sending sounds through water to bounce off objects to determine their shape, size and distance.